The highly skilled doctors and nurses at Mainline Health Systems provide compassionate care in six well-equipped offices in Dermott, Eudora, Portland, Monticello, Wilmot, and Star City, Arkansas as well as ten school based clinics located within the Dermott, Drew Central, Hamburg, Lakeside and Star City School districts. Mainline Health’s medical providers offer top-notch health care to all of our patients, providing medical services including family practice, pediatrics, and diabetes health education. Dr. Don Ball graduated with his medical degree from the University of Arkansas College of Medical Sciences (UAMS) in 1984. He continued his education at the University of Oklahoma Tulsa Medical College, where he completed a preliminary surgery internship. 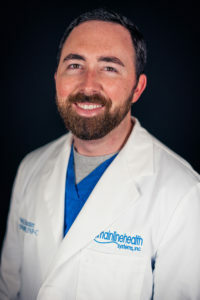 Dr. Ball joined the Mainline team in 2011. Dr. Crystal Little joined the Mainline team in 2015. Dr. Little received her medical degree from the University of Arkansas for Medical Sciences in 2012. She completed her residency in Camden, NJ at Cooper Hospital in 2015. Dr. Fredy Cordova brings over 30 years of experience in the medical field to the Mainline team. Dr. Cordova is board certified in family medicine He is bilingual and very passionate about helping his patients. He is married and has three children. When he is not helping his patients, he enjoys nature, music and playing the piano. Dr. Cordova joined the Mainline team in January of 2017. LaShelle Harris, APRN graduated from the University of Louisiana-Monroe in December 2005. She worked for two years as an ER nurse and then 5 years in home health. She graduated from Grambling State University in May 2011. She worked as a family nurse practitioner for two years in Alexandria, LA at a state facility before joining Mainline Health Systems, Inc.
Courtney Johnson, APRN attended the University of Arkansas-Monticello where she received a bachelor of science in biology and bachelor of science in nursing. Courtney worked in the surgery department of Delta Regional Medical Center during her time as an RN. She then studied at Delta State University where she obtained a master of science in nursing. She joined Mainline Health Systems in June 2015. Shenika Jackson-King, APRN received her BSN in 2003, MSN in nursing education in 2009, and post-master’s degree as a family nurse practitioner in 2014 from Grambling State University. During her time as an RN, she has worked in various aspects of nursing including women's health, pediatrics, nursing education, and med surg. Shenika joined Mainline Health Systems in June 2014. Byron Montgomery, APRN attended the University of Arkansas in Monticello where he received a bachelor of science in nursing. He then studied at the University of Texas at Arlington where he obtained a master of science in nursing. During his time as an RN, Byron worked in the emergency department of Christus St. Michael Health System in Texarkana, TX; Drew Memorial Hospital in Monticello, AR; and St. Francis North Hospital in Monroe, LA. Dana Phillips, APRN received her bachelor of science in nursing from the University of Arkansas at Monticello in 2006. After graduating, she worked as an ER nurse at Baptist Medical Center ER from 2006-2008. She then worked as a critical care nurse at Jefferson Regional Medical Center from 2008-2013. Dana completed her master of science in nursing in 2013 from Delta State University and joined Mainline Health Systems in June 2013. Cynthia White, APRN attended the University of Arkansas in Monticello where she received a bachelor of science in nursing in 1997. She then studied at the University of Arkansas for Medical Science at Little Rock where she obtained a master of science in nursing. 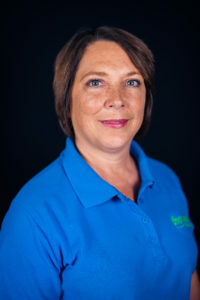 During her time as an RN, Cindy worked at Chicot Memorial Hospital on the med-surg unit, Area Agency on Aging in home health service, and Ashley County Medical Center in Crossett, AR. She joined Mainline Health Services in December 2015. Leah Williams, APRN attended the University of Central Arkansas where she received her Bachelor of Science in Nursing in 2011. During her time as an RN, she worked for JRMC in the Emergency Department and Same Day Surgery from 2011-2015. She received her Masters of Science in Nursing from Maryville University in St. Louis, MO in 2014. She worked as an APRN for Jacks Dermatology in Pine Bluff, AR until 2016. Leah joined the Mainline team in October of 2016. Jesse Bone, APRN attended the University of Arkansas at Monticello where he received her Bachelor of Science in Nursing. During his time as an RN, he worked in the Emergency Department. He received his Masters of Science in Nursing from The College System of Tennessee in Nashville. Jesse joined the Mainline team in 2016. Holley Shelton, APRN graduated with her Bachelor of Science in Nursing in 2004 from the University of Arkansas at Monticello. During her time as an RN, she worked in critical care at JRMC in Pine Bluff, AR. She graduated with her MSN in 2011 from the University of Central Arkansas. She has experience in rural health clinics and geriatrics. Holley joined the Mainline team in March of 2016. Myra Evans, APRN attended the University of Central Arkansas where she received her Bachelor of Science in Nursing. She then studied at the University of Arkansas for Medical Sciences where she obtained her Masters of Nursing Science degree. As an RN, Myra worked for the VA hospital in Little Rock, AR on the Medical-Surgical unit. Myra joined the Mainline team in July of 2017. Dustin Strickland, APRN graduated with his Bachelor of Science in Nursing from the University of Louisiana at Monroe. He is an experienced ER and dialysis nurse who decided to obtain his Masters of Nursing Science degree from Northwestern State University. Dustin joined the Mainline team in July of 2017. Amy White, APRN attended the University of Arkansas at Monticello and received her BSN. She was an RN for 8 years and then received her Master of Science in Nursing from the University of Cincinnati. Amy is married to Stan and resides in Monticello along with their three boys; Trystan, Jonah and Abram. Amy joined the Mainline team in 2018. Will Hunter, APRN attended the University of Arkansas at Monticello, where he graduated with a Bachelor of Science in Nursing in 2012. During his time as an RN, Will worked at CHI St. Vincent Infirmary in Little Rock, AR in Neurosurgery, Surgical ICU, and Cardiovascular ICU settings. Will attended The Unversity of Tennessee Health Science Center in Memphis, TN and graduated in 2018 with a Doctorate of Nursing Practice. He is certified as both a Family Nurse Practitioner and an Adult-Gerontology Acute Care Nurse Practitioner. Will is a native of Monticello and joined the Mainline team in 2018. Kim Weeks, APRN, RDH attended The University of Mississippi Medical Center where she received a Bachelor of Science in Dental Hygiene. She worked as a full-time dental hygienist in Olive Branch, MS from 2007-2009. She attended Delta State University where she received a Bachelor in Science in Nursing and a Master of Science in Nursing. 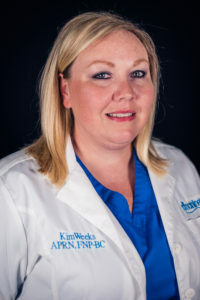 Since becoming a registered nurse, Kim worked in the ER at Delta Regional Medical Center. She also had the privilege of working with special needs children at the Delta Pediatric Care Center in Greenville, MS. Kim joined the Mainline team in July of 2018. Toni Stephens, APRN, attended the University of Louisiana at Monroe where she received her BSN in 1989. Toni worked as an RN in a variety of settings including intensive care, dialysis, medical surgical, and obstetrics, but spent the majority of her career as a professor teaching nursing for Louisiana Delta Community College. Toni completed her MSN in 2010 in nursing education, returning later to complete a post master's certificate in adult gerontology in 2016 followed by a post master's certificate in family practice in 2018. As a nurse practitioner she has worked in the area of podiatry as well as offering primary care in the home setting. Toni joined Mainline Health Systems August 2018.